When Your Professional Isn’t – Hi Blog! I'm Dad. Long before bus rides or special education, my son received services at home. One of the startling life changes for parents of children with Autism is the revolving door of professionals coming in and out of your living room. Some sport blocks, some have balance beams, and others bring paperwork. No matter the issue, there’s a teacher for that. Many of the educators we welcomed were amazing. Whether it was to tell us areas Lucas needed improvement or to share a personal story to put as at ease, they worked to enlighten the entire family. Overall, the experience was pleasant. To be honest, it’s a pretty daunting task welcoming new people like this into your life. At first, you have no choice but to hand over complete confidence to these experts. 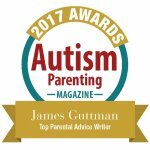 After all, Autism (or any special need) is still a new concept for young parents while the professionals are so familiar with it that they’ve found work in the field – hence the title “professional”. But that’s a big responsibility and some professionals are, well not so professional. Case in point, a specific speech teacher who steamrolled over us as soon as she showed up. Terry, as I’ll call her here, was very accomplished…if you listen to Terry. She had no qualms about sharing her vast resume, stellar education, and skill set. While other teachers had spent the bulk of time with my son and showed us occasional tools to make life easier, Terry insisted we sit and watch her lessons as if we were at a Pampered Chef party. Even my daughter Olivia was forced to be her “helper” only to spend the entire time frustrated and watching in silence. Terry acted as if she was sent to fix the entire household like we were the cast from the Sound of Music. The lessons Terry taught seemed to contradict what I believed speech lessons to be. Many weeks, she did nothing vocal at all and instead taught him strange tasks that we later learned were part of his upcoming testing. Rather than make sure he understood what he was learning, she was trying to get him to imitate motions for the sake of a checkmark on her evaluation. Making matters worse, she would routinely corner me when my wife wasn’t there and offer a laundry list of critiques about her behavior. I would listen in stunned shock to all the things she said my wife was doing wrong. It was very off-putting and just one more thing on the laundry list that we had been keeping on Terry that eventually lead to her unceremonious departure from our home. All of that would have been sufficient, but Hurricane Terry’s biggest damage was her early insistence that we get rid of any toy that our son could use for “stimming”. In other words, any light-up toys or things that he flicks, taps, or spins, had to go. This included one of his favorite toys – the Zany Zoo activity box. With a bead maze on top and spinning wooden pieces around the side, this box was his go-to toy. It pained me to get rid of it, but her reasoning made sense. After all, Lucas was still small. Maybe by keeping these toys around the house, he would never grow out of this darn situation that we were desperate to move him away from. It felt like it was our fault for allowing him to play this way. Years later, I know that’s nonsense and that I don’t need him to “grow out” of anything. This is who he is and donating that toy to his preschool was the true mistake. Even before we kicked Terry out of our house, I was kicking myself for getting rid of it. We have this big box with a beady maze on it. It’s Lucas’s favorite toy. We use it as his main reward. Oh, he had a toy like that at home and loved it. We donated it to the school though. Oh, that’s probably the same one! I don’t fault myself for listening to Dr. Terry. After all, I was going into this whole thing with an open mind. I was giving myself and my son over to these professionals and trying to do whatever they suggested for his betterment. In nearly every case, they were correct. This time, though, they weren’t. I should have had enough confidence to listen my internal voice and, if I could go back now, I’d tell myself that. Without a time machine, I can’t do that, but I can speak to any new parents in that situation and remind them that they know their child better than anybody. If someone, expert or otherwise, suggests something that goes against what you think is best for your child, you have a right to say no. You can follow it up with a discussion or explanation, but no one should ever tell you what you “need to do.” Just because you’re new to the situation doesn’t mean you need to abandon your intuition or parental instincts. I don’t beat myself up about giving that Zany Zoo box away anymore. Then again, that’s because I went out and bought Lucas a new one yesterday. Like most presents, Lucas has been indifferent to it at first, but I know he’ll come around. He always does. I can say that with confidence. Know why? Because he’s my son and I know him better than anybody.